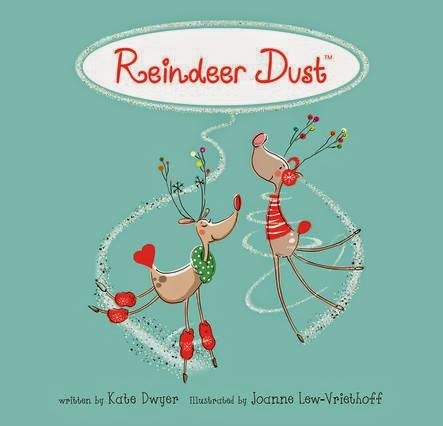 Reindeer Dust is a picture book for children written by Kate Dwyer and illustrated by Joanne Lew-Vriethoff. This Christmas story is about Santa's reindeer, who are tired from work one year. A smart little boy named William comes up with a recipe for reindeer dust to attract and feed the reindeer. The story is told in rhyme, and it would make a fun read aloud for preschool age children. The illustrations are charming with a retro inspired flare and an appealing color palette of seafoam green with pastels and red. I think this book (and the reindeer dust activity!) would make a fun annual tradition.